Degree in Medicine from Athens University Medical School. 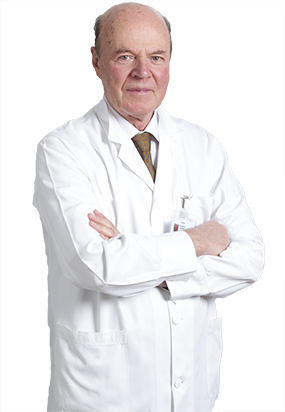 Specialization in Neurosurgery at the Athens Polykliniki Hospital, under Professor Doros Oekonomos. Post doctorate studies in Britain, where he worked as a Registrar for two years. Corresponding Member of Deutschen Gesellschaft fur Neurochirurgie. General Secretary of the Greek Neurosurgical Society for 6 years and Chairperson for 2. He has worked as a Senior Registrar at Athens Polykliniki and Evangelismos Hospitals and was Consultant Neurosurgeon for 15 years in the Metaxas and Georgios Gennimatas Athens State Hospitals. He has also taught thousands of medical, nursing and physiotherapy students. He participated for 5 years in training sessions for European Neurosurgeons as regular member of EANS (European Association of Neurosurgical Societies). He helped institute yearly Greek Neurosurgical Congresses and weekly/monthly research seminars by the Greek Neurosurgical Society. Regular member of the Ministry of Health committee which awards specialization in Neurosurgery certificates for 8 years.